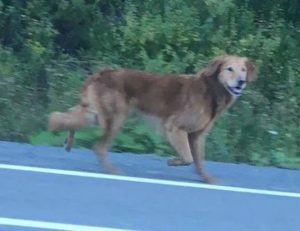 Additional Notes: MALE: Golden Retriever, adult, not wearing a collar. Sighted roaming on Sept.9/18. UPDATE: This dog’s name is Chester. PLEASE do NOT chase.